Support for quality in local youth work is crucial to increase its effectiveness and social recognition. Therefore the 200+ partners from 20+ countries in this long-term project set out to create a European Charter on Local Youth Work. Such a Charter on Local Youth Work is in line with the recommendations of the 2nd Youth Work Convention (2015) and the Council of Europe recommendation on youth work (2017). Europe Goes Local believes that municipal youth policy and European cooperation in the youth field contribute to the quality of local youth work and its recognition. That is why the National Agencies of the Erasmus+ youth programme focus on youth work development on municipal level. The Charter aims to create the conditions so that local youth work can reach its full potential and actively contribute to the personal and social development of young people. A European expert group representing different local youth work stakeholders developed a draft Charter for Local Youth Work. These proposals were intensely debated in the national working groups with all the Europe Goes Local partners involved. They also reached out to relevant stakeholders in their various national realties creating a far-reaching ripple effect. Amendments were proposed, achieving a broad consensus and ownership of the Charter amongst all stakeholders. Of course, the aim was to come to a common tool that can be used to the benefit of local youth work in all corners of Europe, but the consultation exercise also stimulated rich discussions and exchanges of experience between stakeholders. This helped networking and knowledge building between youth work partners at municipal level, both welcome secondary achievements from this consultation exercise. The consultation was carried out by the national working groups involved in the core work of Europe Goes Local. They collected feedback from relevant representatives of local youth work (e.g. umbrella organisations, youth councils, trainer pools,…) via questionnaires, discussion groups and round tables. The working groups used the methods that fit best to their context. The Erasmus+ Youth National Agency of each participating country provided a summary of the national consultations and the draft Charter was also submitted for scrutiny at the Europe Goes Local conference in Portugal (June 2018). This fed the European expert group and helped them to propose a revised draft has been sent around for feedback in the middle of November. The last amendments, based on this second round of consultations, should be integrated in 2019, leading to a consolidated European Charter for Local Youth Work, based on a European-wide stakeholder consultation. 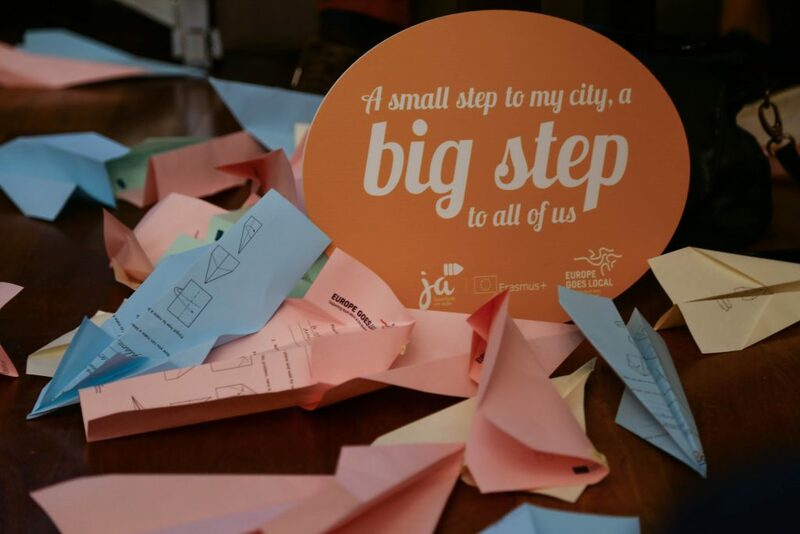 The Charter will be launched at the 3rd Europe Goes Local conference in 2019 and widely disseminated, to make youth work thrive in Europe, from the smallest villages to the largest cities. Read more on the Charter and the consultation and contact your NA if you wish to participate in it.